The majority of world's 10 largest refineries are situated in the Asia Pacific region, with India hosting the world's largest refinery complex, followed by Venezuela and South Korea. Hydrocarbons-technology.com lists the top 10 large oil refineries globally, based on processing capacity. 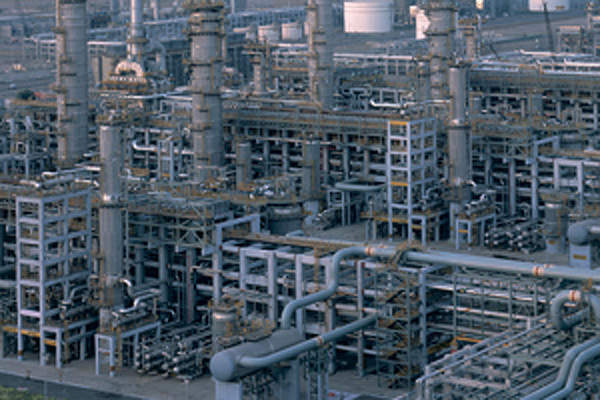 The Jamnagar refinery in India is the largest oil refinery in the world. Paraguana refinery is the second largest oil refinery in the world. Port Arthur refinery is the largest oil refinery in the US and the sixth largest in the world. 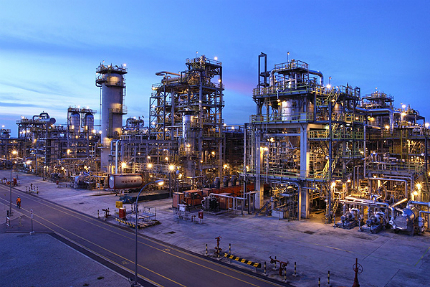 ExxonMobil's refinery in Jurong Island, Singapore, is the seventh largest refinery in the world. 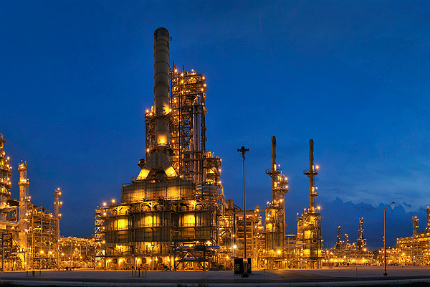 ExxonMobil's Baytown refinery has a processing capacity of 584,000bpd. Image courtesy of The Center for Land Use Interpretation. Ras Tanura refinery, owned and operated by the state-owned oil company Saudi Aramco, is the ninth largest refinery in the world. Image courtesy of Saudi Aramco. The tenth largest refinery in the world, Garyville is operated by Marathon Petroleum Corporation. Image courtesy of Marathon Petroleum Corporation. Jamnagar refinery is the world’s largest oil refinery with an aggregate capacity of 1.24 million barrels per day (bpd). The refinery complex is located at Jamnagar in Gujarat, India. It is owned and operated by Reliance Industries. The refinery complex is spread across 7,500 acres and has more than 50 process units which refine the basic feedstock, crude oil to obtain various finished products. The world’s largest refinery took three years to complete and involved about $6bn of investment. The refinery consists of hydrodesulphurisation, catalytic reforming, fluid catalytic cracking and delayed coking units. It also includes sulphur recovery, hydrogen generation, merox treating and TAME (Tertiary Amyl Methyl Ether) units. Paraguana refinery is the second largest oil refinery in the world, with a processing capacity of 955,000bpd. The refining complex is located at Paraguaná Peninsula in Falcón state and the western coast of Lake Maracaibo in the Zulia state. It was established in 1949. Venezuela’s state-owned company Petróleos de Venezuela (PDVSA) owns the refinery. The Paraguana complex includes Amuay, Bajo Grande and Cardón refineries. The complex features the world’s largest flexicoker with a processing capacity of about 64,000bpd. The world’s largest flexicoker, with a processing capacity of about 64,000bpd, is located at Amuay refinery of the Paraguana complex. The Amuay refinery also has a catalytic cracking unit. The ignition of a leaking gas at Paraguana’s Amuay refinery in August 2012 caused an explosion that broke out fire in three tanks at Block 23. More than 48 people died in the incident. 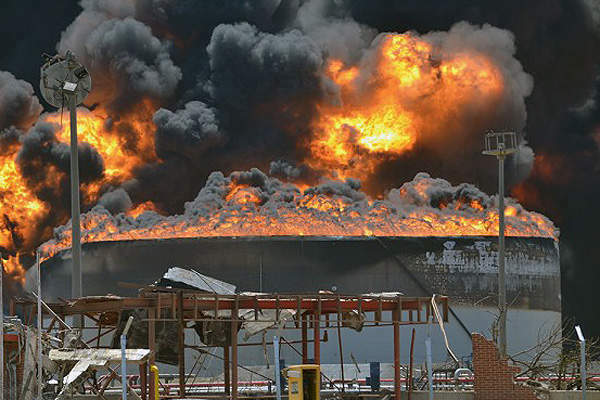 PDVSA completely extinguished the fire after three days. Operations at the Ulsan refinery started in 1964. The first crude oil unit with a capacity of 35,000bpd was delivered by Fluor in 16 months. The refining capacity was expanded to 810,000bpd in 1996. A heavy oil desulphurisation plant and decomposition plant were launched at the complex in 1997 and a second residue fluid catalytic cracking (RFCC) plant was launched in 2008. 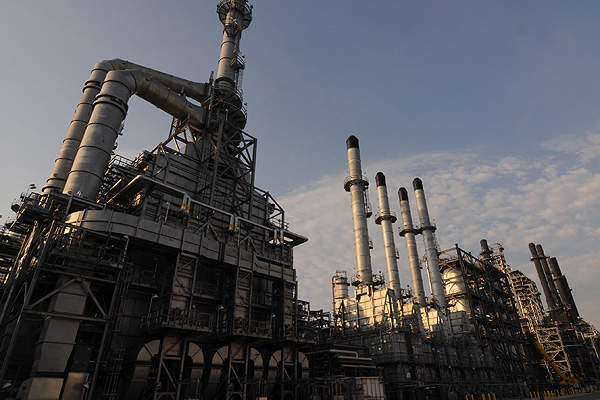 The refinery has five crude distillation units and a paraxylene unit with a capacity of 758,000t per year. It also has two naphtha cracking units and a heavy oil upgrading facility with a capacity of 114,000bpd. In addition, the refinery has 34 large scale crude oil storage tanks. Yeosu refinery, the fourth largest in the world, is located at Yeosu city in South Jeolla Province of South Korea. The processing capacity of the refinery is 775,000bpd. The refinery is operated by GS Caltex, a joint venture between GS Holdings and Chevron. The refinery began operations in 1969. A residue fluidised catalytic cracker with a capacity of 94,000bpd was installed in 1995. A second Heavy Oil Upgrading (HOU) facility was constructed in August 2007. The refinery has a desulphurisation facility with a capacity of 272,000bpd. It also includes a hydrocracker and base oil plant, and HOU facilities to convert cheap residue into expensive light petroleum products, such as kerosene and diesel. The Onsan Refinery at Ulsan in South Korea is the fifth largest oil refinery in the world with a processing capacity of 669,000bpd. Owned and operated by S-Oil Corporation, the refinery produces petrochemicals and lube base oil. The best quality oil products are produced at its Bunker-C Cracking Centre (BCC) and Lube Base Oil Complex. The BCC at the refinery has been in operation since the mid-1990s. A second aromatic complex was constructed at the complex in June 2011 after investing KRW 1.4 trillion ($1.28bn). The refinery includes a condensate fractionation unit (CFU) for producing additional naphtha. The processing capacity at the refinery was expanded from 580,000bpd to 669,000bpd in 2011. Port Arthur Refinery is the sixth largest refinery in the world, with a total processing capacity of 600,000bpd. The refinery is located on the Gulf of Mexico at Port Arthur in Texas, US. It is operated by Motiva Enterprises, a 50/50 joint venture between Shell and Saudi Aramco. The refinery started operations in 1903 and played an important role in the production of high-octane aviation fuel during the World War II. The refinery became part of Star Enterprise, a joint venture between Texaco and Saudi Aramco in 1989. The refinery produces gasoline, distillates, jet fuel, lubricant base oils and chemicals and solvents. It became the largest refinery in the US by expanding its daily processing capacity to 600,000bpd in May 2012. 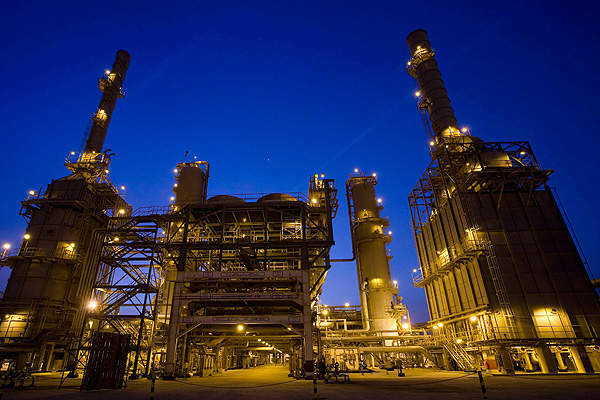 The refinery includes a catalytic reformer at the new three-unit naphtha processing complex, which converts 85,000bpd into high octane gasoline for blending. The ExxonMobil Singapore refinery is the seventh largest refinery in the world. The refinery has a processing capacity of about 592,000bpd. It has two operating sites located at Jurong on the mainland and Pulau Ayer Chawan (PAC) on Jurong Island in Singapore. The Jurong mainland site has a processing capacity of 302,000bpd, whereas the PAC site has 290,000bpd of capacity. The refinery at the Jurong site became operational in 1966 and the one at the Pulau Ayer Chawan started operations in 1970. The latest expansion at the refinery was completed in December 2012 adding 2.6 million tonnes of new finished product capacity in a year. 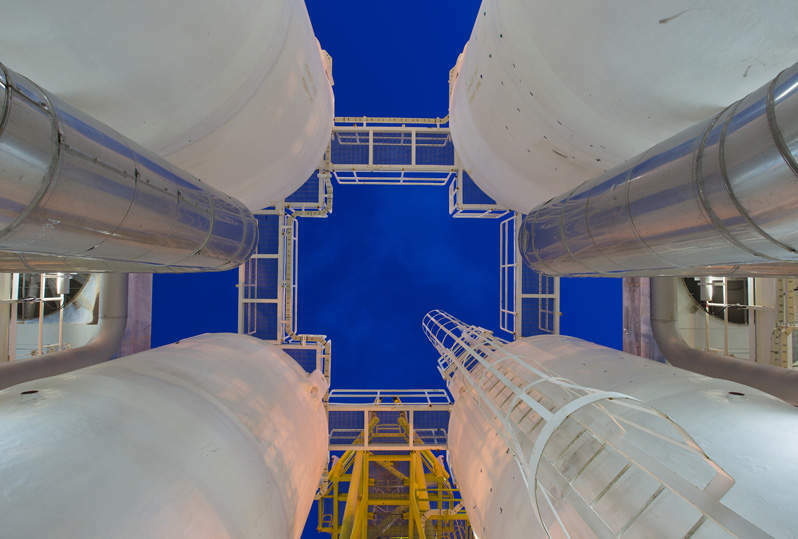 The refinery includes downstream units including a steam cracker ethylene complex and two downstream plants. It also includes a chemical plant with two world-scale steam crackers, as well as an aromatics plant. 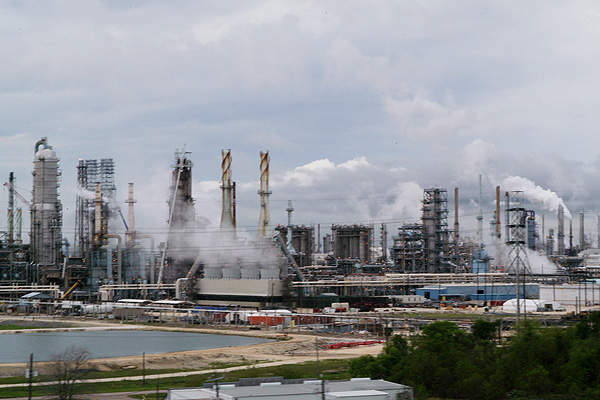 Baytown refinery is the second largest petroleum and petrochemical complex in the US and eighth largest in the world. It has a processing capacity of 584,000 barrels a day. It is located at Baytown in Texas, US, and is owned and operated by ExxonMobil. The refinery was established in 1919 and commenced operations in 1920. It is spread across 3,400 acres along the Houston Ship Channel. The chemical plant at the refinery began operations in 1940. The refinery produces jet fuel, diesel, refinery gas, propane, chemical feedstocks, oils, gasoline and coke. The main complex occupies five square miles and integrates two chemical plants, regional engineering office and global technology centre. Ras Tanura is the ninth largest refinery in the world, with a crude distillation capacity of 550,000bpd. The refinery is located on the Persian Gulf coast near the industrial port city Jubail in Saudi Arabia. Saudi Aramco is the operator of the refinery. Operations at the Ras Tanura refinery began in September 1945 with an initial production capacity of more than 60,000bpd. The major output of the refinery is supplied to Dhahran bulk plant for domestic use, while the remaining is exported. The refinery includes a 325,000bpd crude distillation unit, 225,000 barrels per day gas condensate distillation unit, 50,000bpd hydrocracker and 107,000bpd catalytic reforming capacity. It also has a 60,000bpd Visbreaker unit. Garyville refinery located in Louisiana, US, is the third largest refinery in the United States and the tenth largest in the world. The 522,000bpd refinery is owned and operated by Marathon Petroleum Corporation. The construction of Garyville refinery began in 1973 and was completed in 1976. ECOL was the construction contractor. The capacity of the refinery was expanded with an investment of $3.9bn in 2009. The refinery processes heavy sour crude oils to produce gasoline, diesel, asphalt, propylene, isobutane, propane, fuel-grade coke and sulphur. The process technologies used at the complex include crude distillation, hydrocracking, catalytic cracking, hydrotreating, catalytic reforming, alkylation, sulphur recovery and coking. As the big manufacturers of combined cycle gas turbines (CCGTs) continue on their never ending quest to create the most efficient class of gas turbine, we look at what is driving this need for efficiency and profile the top three series of CCGTs currently available. The search for alternative sources of oil has resulted in new information about the role of sand injectites, research that is only now helping scientists unlock a host of new secrets about the nature of subsurface hydrocarbons, both at home and in the solar system.